Imagine an island at your disposal for 24 hours…what would you do with it? Throw a party, naturally. You might assemble a few friends, set up a bar and fire up a grill, right? Maybe do a booze run on your friend Joe’s Costco card? You might throw a few tunes on a stereo, and get Mick to bring his guitar. And wouldn’t it be great to ask Michael, the one who’s the whizz in the kitchen, to jazz up that barbecue a bit? 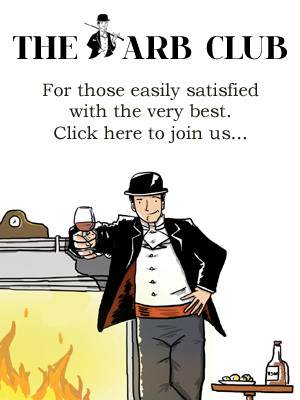 Well, you might…or you might let Maison Krug do it for you. What if Mick happened to be Mick Jones of The Clash. And Michael was none other than maverick avant garde chef, Michael The Man Behind the Curtain O’Hare? On this island, for one night only, Mick, Michael and Maison Krug are hosting the definitive gathering of wine, dining and song. This is a festival par excellence. While Michael’s theatrical approach to food will keep you as entertained as you are sated, Mick’s line-up of guest artists promises a series of unforgettable turns from stellar names and culminates with all performers coming together in an extraordinary live jamming session to close the night. And you wouldn’t need to worry about the bar. Eric Lebel, Krug’s Chef de Cave is your bartender, selecting from more than 120 different wines to create their exquisite blend of Grand Cuvee year after year. So, what about that island? Somewhere in the Indian Ocean, perhaps? Nah, bit passé. South Pacific? Bit far. The Western Isles, then? Too many midges. Besides, you’d want somewhere with facilities to let Mick and his pals do their worst. Somewhere like…Osea Island, perhaps? Located on the Blackwater Estuary, Osea Island is one of the closest islands to London you might never have heard of. It is, however, iconic – even unique – in its heritage. Four square miles of unspoilt landscapes and beaches notwithstanding, it’s also home to state-of-the-art recording facilities that have hosted such musical luminaries as Fleetwood Mac and Noah and the Whale. (Well, you’ve got to be a bit Bohemian, haven’t you). And just to add to that air of exclusivity it’s only accessible for only an hour each day at dawn and dusk. Clearly, there are summer festivals – and then there’s Krug Island. The festival takes place for one night only on 1st September 2016. Tickets are, as you’d expect, severely limited, and details are available at krugisland.com. If you miss the event itself, the Krug and Music experience will continue through September and October 2016 with exclusive Krug packages, including stays at the luxurious Manor House, sessions in the recording studio with the artists and, of course, a case of Krug to see you through it.